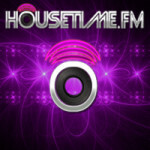 HouseTime.FM: a Dance, Pop radio. Internet Radio / Online Radio / Webradio – 24h live Musik – Techno, Hands Up, House, Trance, Dance. Posted in Dance, Pop. Tagged with Dance, House, Techno.